Open sunny cockpit, the possibility of ordering additional shelters. Parameters allow both boats sailing maritime, coastal and inland. The hull is made of 100% aluminum alloy resistant to marine conditions. 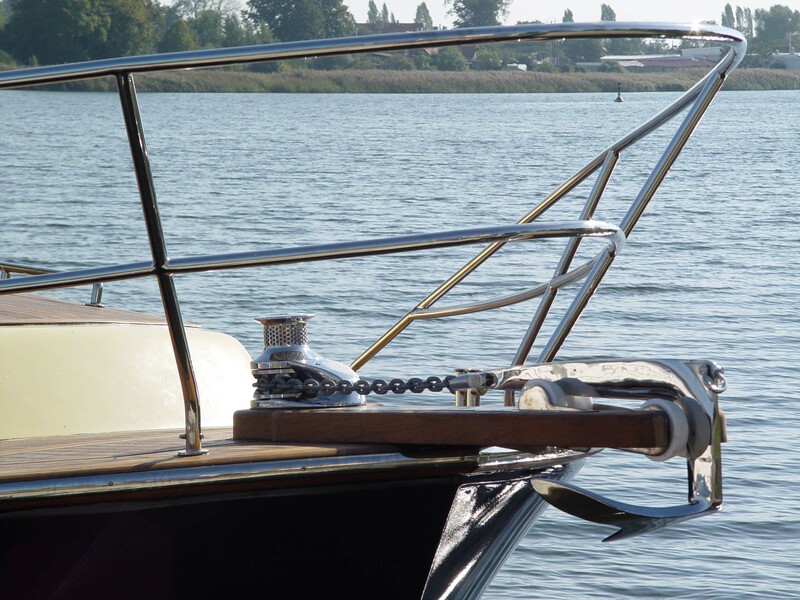 We are pleased to present to you the luxury aluminium yacht JABO Classic 350. It was designed by an external design office on the special order of Yacht Shipyard JABO. This is the newest product of our shipyard, for first time produced with the destination of the external market. From the beginning of this project the assumption was to create a comfortable, easy to sail classical yacht by using modern solutions of technology. 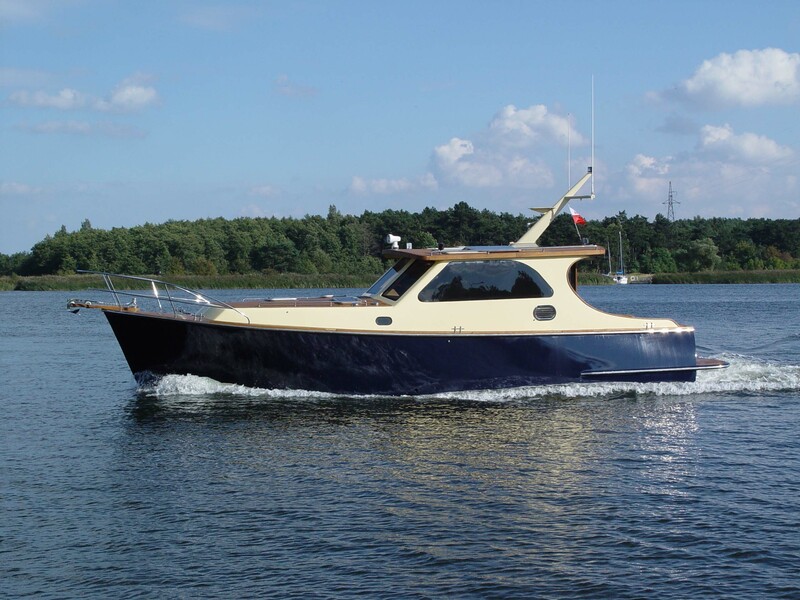 JABO Classic 350 it is a excellent proposal for people who want to have an unconventional luxury motor yacht. 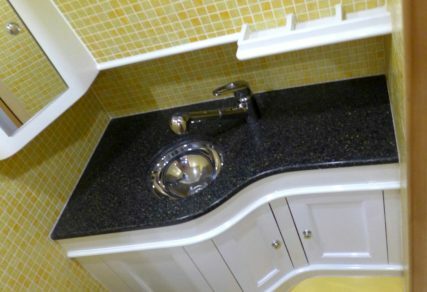 Used in its construction, the highest quality of durable materials will satisfy the expectations of the most demanding clients. 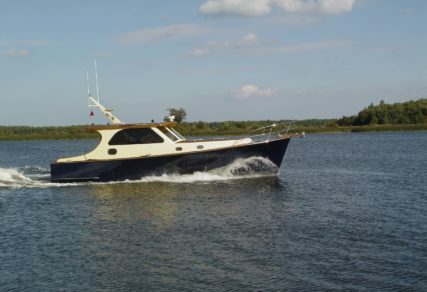 A classic and elegant silhouette of yacht, an open sunny cockpit and a comfortable stern platform mesh together perfectly, creating a uniform and traditional style. Low displacement on a level of 6.70 tons, and a shallow draught (0.6 m) means that the two Volvo Penta D2 75HP engines will provide optimal comfort during a journey as well as a wide range. These engines will ensure that the journey will be not only pleasant but also economical and unusually quiet. 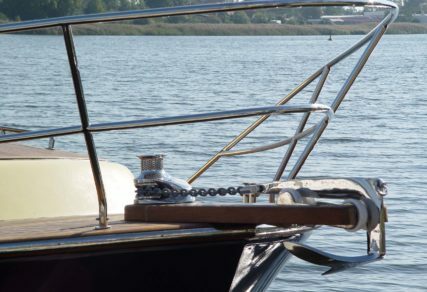 Thanks to its parameters the yacht allows inland navigation in the shallow and narrow channels of such cities as: Venice or Amsterdam as well as coastal sea navigation. Do wykończenia przestronnego wnętrza jachtu JABO Classic 350 zastosowano najwyższej klasy drewno egzotyczne koto, czeczotka oraz mahoń. To finish the spacious interior of yacht JABO Classic 350 we used the highest quality exotic woods such as koto, redpoll and mahogany. 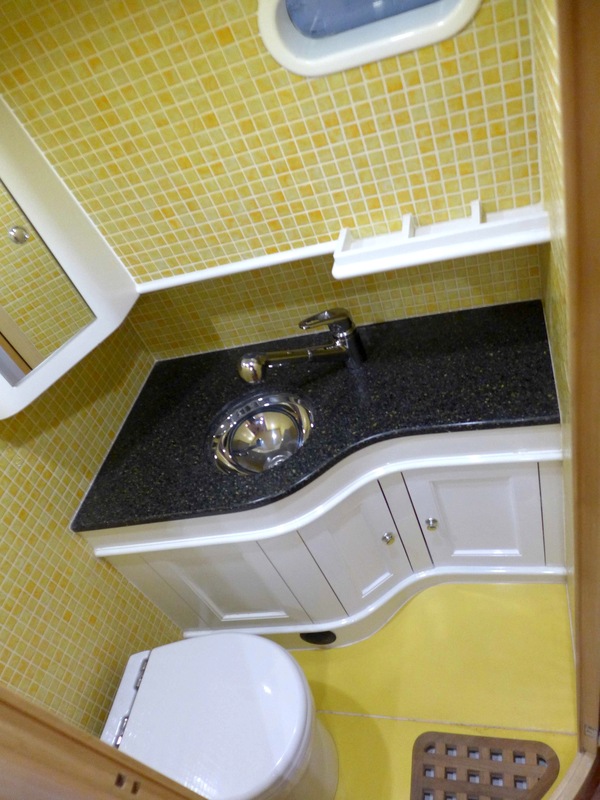 The living space was designed with attention to the smallest details. 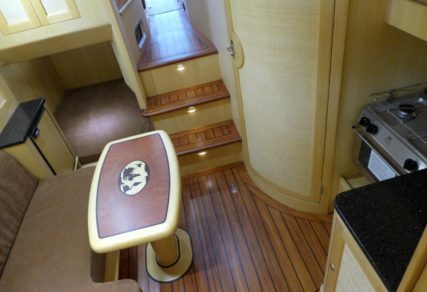 Fully hand-made interiors and furniture emphasize classic character of the yacht and its uniqueness. 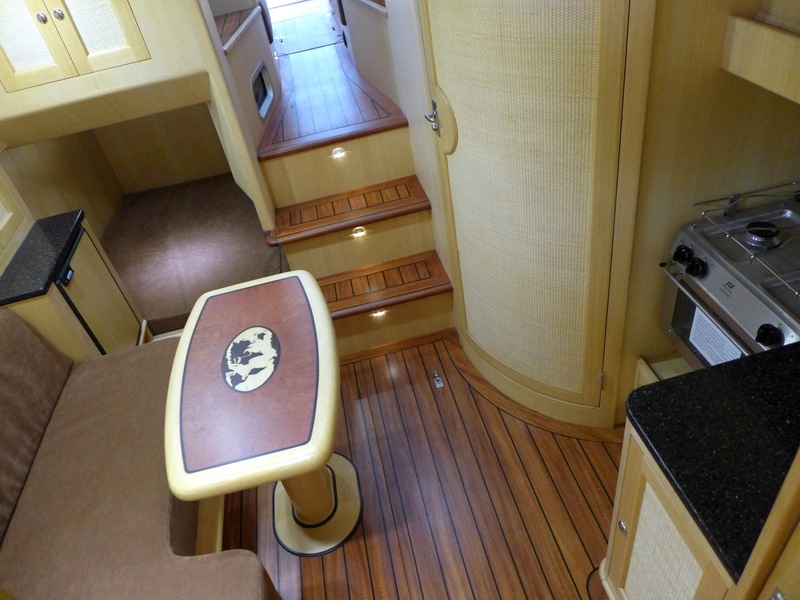 Two big glazed sliding hatches in the pilothouse allow the entrance of fresh air and sunlight. The deck and cockpit were fully covered with teak wood. 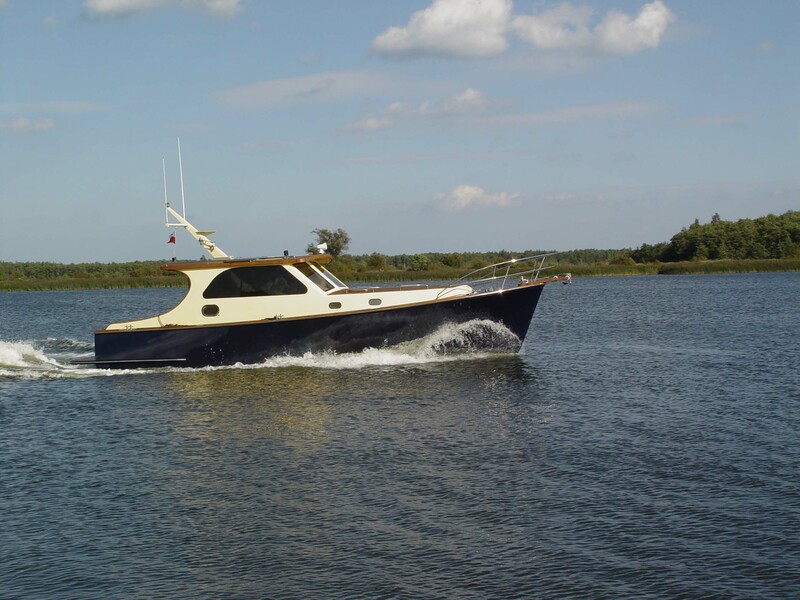 Fully welded hull from aluminium alloy resistant to sea conditions, painted in any colour,. 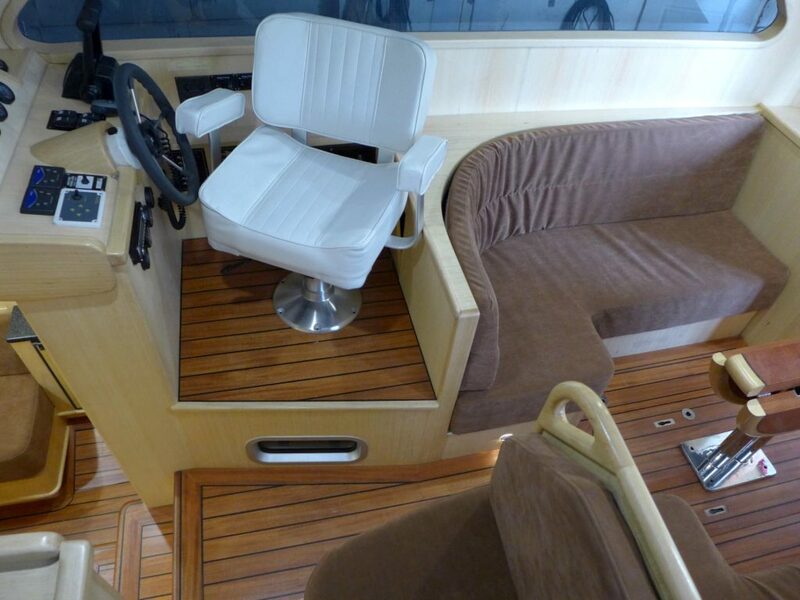 Floor finish in cockpit and stern platform made from TEAK wood. Lockers in the cockpit side.